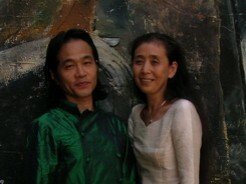 Eiko & Koma toured to Ireland for the first time. Invited by long time friend Laurie Uprichard, they performed Regeneration, showed documentary videos, and taught a workshop. They enjoyed reconnecting with long time friends and meeting new friends. Pictured here are Val Bourne and Betsy Gregory of London Dance Umbrella and artists Cédric Andrieux, Hiroaki Umeda and Yasuko Yokochi. 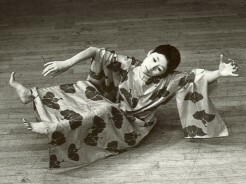 Article on Eiko & Koma from the Irish Times. Eiko & Koma also managed to drive to the countryside, visit the ancient monument of Newgrange, and hike along the cliff of Howth Head.